How to survive an avalanche is a hot safety topic because the snow pack has climbed so dramatically in the last five weeks throughout Colorado, Utah and the Canadian Rockies. Despite avalanche warnings, people have been going into the back country this winter, and several have died, or been buried in snow but were dug out in time. But don't assume you have to be enjoying active sports in mountainous terrain to wander into an avalanche zone? Here's a story about two cars that were swept off the highway while going over Berthoud Pass in Colorado. The USA Today article describes how everyone in both cars survived and only one person was seriously hurt. One driver, who is a longtime backcountry skier, described how he made air pockets as the car stopped more than 100 feet below the road they had been on moments before. In recent years, the number of snowmobilers, backcountry skiers and winter hikers dying in avalanches has jumped. Resorts from Steamboat to Jackson Hole (resorts slopes within ski area boundaries are avalanche controlled) are already reporting from 230- to 300 inches of snow. Several times every winter, one reads about skiers, snowboarders or snowmobilers who have been caught in avalanches. Some survive, in part because they are properly equipped with beacons, probes and knowledge. Others don't! If you're heading into mountains where there could be slides, take time to learn about avalanche safety. It might just help you survive. According to the U.S. Forest Service National Avalanche Center, the majority of avalanches victims are caught in are triggered by themselves or others in their party. The U.S. Forest Service National Avalanche Center is a good place to start. Various web pages cover the basics, including the type of terrain, snow pack, wind and weather that trigger avalanches. There's also a list of links to regional websites. The American Institute for Avalanche Rescue has links to information about courses throughout the US that offer knowledge and tools you'll need to manage your risk in avalanche terrain. 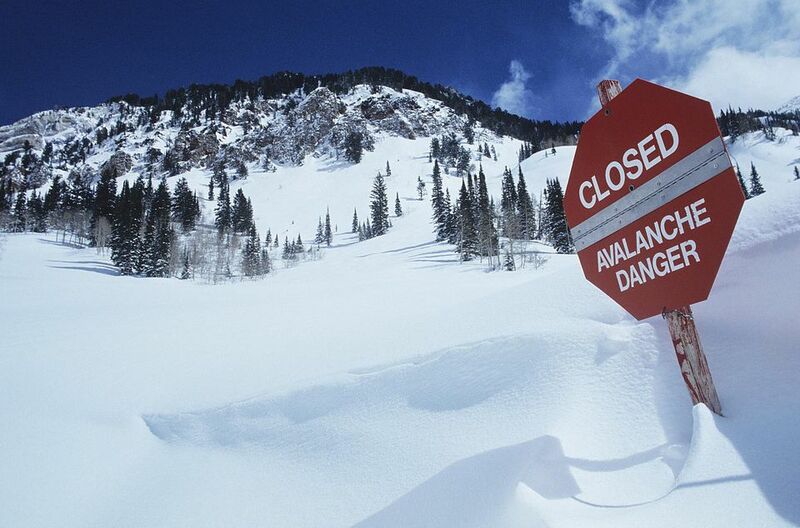 The Utah Avalanche Center Web site has the answers to some very common questions. Avalanche.org lists the avalanche centers in mountainous areas in the U.S. and in Canadian provinces. The Canadian Avalanche Society has an online course called Avalanche First Response. It's a smart way to learning more about protecting yourself. Colorado's Rockies are among the most popular mountains for skiers, snowboarders, winter walkers and snowmobilers who like to explore the backcountry. The Colorado Avalanche Center offers regular forecasts and educational programs throughout the state. Click on Top Resorts With Inbounds Backcountry Ski & Snowboard Terrain to find more places for expert skiers and snowboarders to enjoy backcountry-style terrain inbounds at ski resorts. If you're not sure what backcountry skiing is outside ski resort ropes, visit What is Backcountry Skiing and Snowboarding.